(1) Candidates interested and meeting the requirements (see below) must apply and will be selected based on academic grades (deadline: 29/12/2017). Candidates must apply through the Ministry's web interface. (see guide to applicants and details of the call). (2) Candidates who pass the first selection filter will present, together with their prospective PhD supervisor, a research project, CV of both the candidate the PhD supervisor, research record of the group where the candidate would do their PhD. The full text of the call can be downloaded here. More information can be found here. A guide to applicants is available here. Interested in studying attention and distraction or serial short-term memory? Fabrice Parmentier is looking for potential candidates interested in doing their PhD research on attention and distraction, or on serial short-term memory. 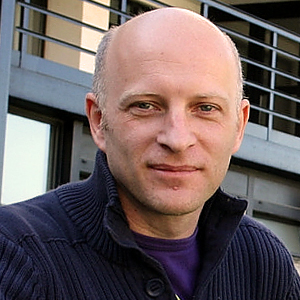 His current research focuses on distraction by unexpected sounds, exploring various aspects of this type of distraction: fundamental cognitive mechanisms (e.g., attention orienting and possible connection to motor control), effect of aging, connection to other cognitive phenomena (e.g., interference, post-error slowing, Stroop-like effects). Fabrice also has a track record of publications on human serial short-term memory, looking at memory for auditory-spatial and visuo-spatial sequences, the effect of grouping and the effect spatial complexity, or the Hebb repetition effect. For more information about his research and publication record, check out his personal website, his ResearchGate, ORCID, or Scopus page. Parmentier, F. B. R., Comesaña, M., & Soares, A. P. (2017). Disentangling the effects of word frequency and contextual diversity on serial recall performance. Quarterly Journal of Experimental Psychology, 70(1), 1-17. Pacheco-Unguetti, A. P., & Parmentier, F. B. R. (2016). Happiness increases distraction by auditory deviant stimuli. British Journal of Psychology, 107(3), 419-433. Parmentier, F. B. R. (2016). Deviant sounds yield distraction irrespective of the sounds’ informational value. Journal of Experimental Psychology: Human Perception and Performance, 42(6), 837-846. Leiva, A., Parmentier, F. B. R., & Andrés, P. (2015). Aging increases distraction by auditory oddballs in visual, but not auditory tasks. Psychological Research, 79(3), 401-410. Parmentier, F. B. R. (2014). The cognitive determinants of behavioral distraction by deviant auditory stimuli: A review. Psychological Research, 78(3), 321-338.